For a lot of people, working out can seem daunting. A lot of pressure is placed on self-motivation that many can’t muster up on their own. In these situations, we recommend group classes. What can a group exercise class do for you? We’re going to break down some of the benefits you stand to gain from joining a group class. When you’re looking for the best exercise classes in Hampton, look no further than Crossfit Stimulus. Our fitness experts want to help you get the results you are looking for and more. Exercise can feel pretty isolating when you are doing it on your own. The shared experience of group exercise adds a level of fun that can be missing from solo workouts. This is also a great opportunity to make friends with similar interests and goals. With peers that are going through the same regimen as you, there are more people that can provide assistance in reaching your goals. It can provide extra motivation if you have friends going through the same training as you. Not only will your peers help motivate you, but so will the personal trainer in charge of the class. They have the experience and knowledge to help you reach your goals, while also understanding what may be too much for you to take on. They are able to understand what gets you going and what stops you dead in your tracks and can adjust their instruction accordingly. Not everyone gets motivated the same way, but a professional personal trainer will be able to determine what works best for you. There is a huge variety of classes available out there, each catered to a different experience. Whether you’re looking for the intensity of a high-level CrossFit experience, or a more low-key, low-impact yoga class, all of these benefits can translate to any class environment. 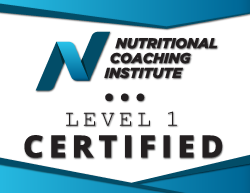 You can find a class that fits your goals, or one that can have some individualization added, pretty easily. One of the biggest downfalls of individual attempts at fitness is a lack of accountability. It’s easier to make an excuse for yourself than it is to make one for an instructor or classmate. When you’re in the trenches, working out alongside others, a bond forms. You want to see their success and they want the same for you. Having that level of accountability will push you to continue working hard and striving to do better. Your instructor only wants to see you reach your goals, but they can’t do anything if you aren’t there. Don’t let them down! 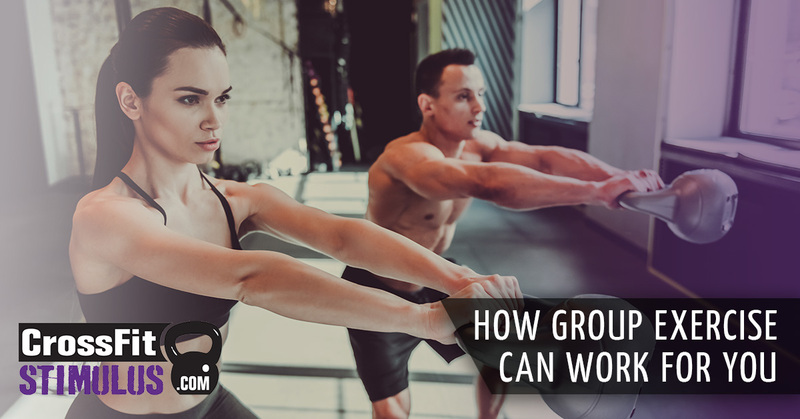 Group exercise has so many other benefits we haven’t gotten into yet, as many of them are specific to the type of class they are referring to. If you have had trouble getting started on your fitness journey, or maybe you’ve just hit a motivational speedbump, a group class could do wonders for you. Check out our classes we offer here at Crossfit Stimulus and give us a call today!